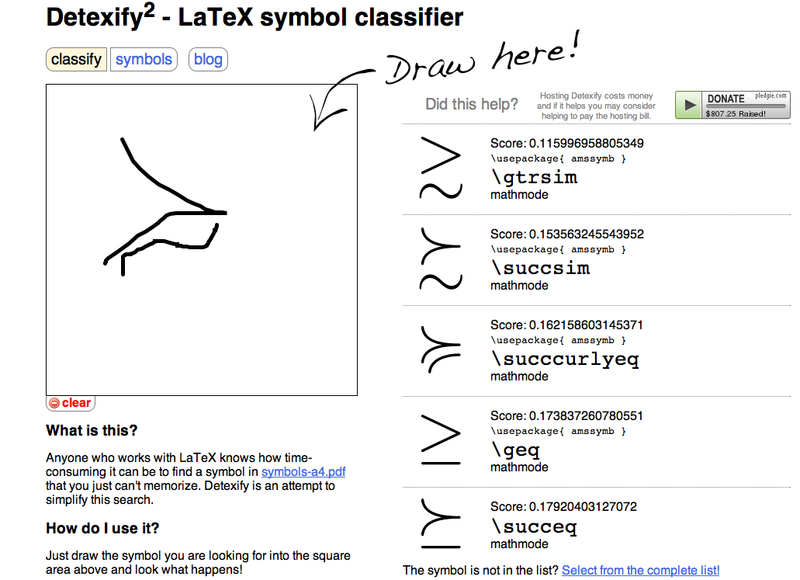 Today I came across a post on John D. Cook's blog that mentions a really neat online utility called Detexify. 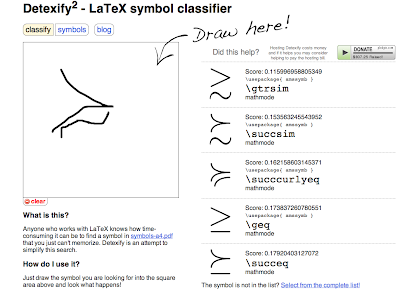 You can use the utility to find the LaTeX command of a symbol by drawing the symbol with your mouse. The following shows a screenshot from the Detexify website. I drew the symbol in the box on the left; you can see the results of that drawing on the right.